Moving to The CW isn’t the only change for Supergirl. 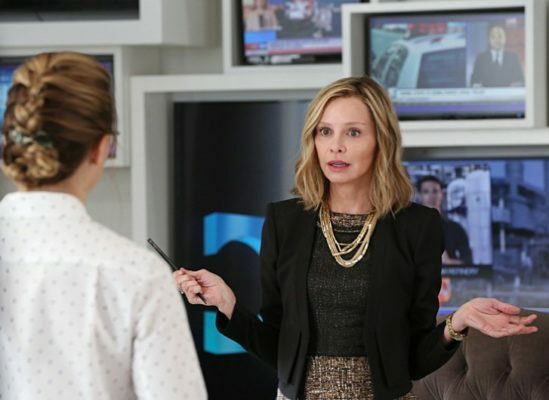 The Wrap reports cast member Calista Flockhart may not be a series regular for season two. Season two is slated to premiere this fall. What do you think? Did you watch season one of Supergirl? Will you watch season two on The CW? Vancouver is not that far. I hope calista returns … interaction between her and super girl (Kara) is fantastic and enjoyable viewing. Catco needs Calista. !!!!! I want Calista to stay and I dont really like the “new” boss, he is NOT right for this show. NOOOOOOOO Calista Flockhart is my favorite.. It just will not be the same. Please fine a way to make it work.. They gave the option of less or no Cat Grant by Kara not being Cat’s assistant and the end of the last episode. For me… Calista Flockhart is a huge reason that Supergirl works, obviously not the only one… But a HUGE part of it nonetheless. I hope CBS Studios is doing whatever it takes to make sure she stays an integral part of the show! I hope she stays with the series, love her in this role, she is so great as Cat, I think it wouldn’t be the same without her, I hope they can talk her into staying.